Mini is updating its line of models simultaneously. 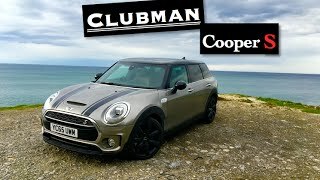 In queue to same they recently shared the updated version of Clubman as Mini Clubman All4 2016. The two variants under the badge offer new powertrains and some updates that will surely attract new buyers towards the company. 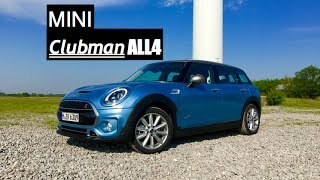 Let us have a look at the review of Mini Clubman All4 2016 to know in detail about it. The interior of Mini Clubman All4 2016 received very few updates. The major changes are integrated into the comparatively powerful S variant. The all wheel drive variant has the same instrument cluster behind the traditional steering wheel while the center console and infotainment system design too remains unchanged. However company provides you the option to get sports seats for the driver and front passenger. The dashboard still is home for the same components as we noticed in the near past. 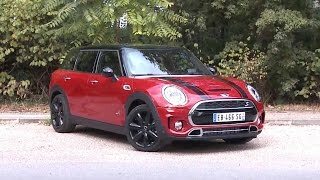 Thus rounding up the interior details of Mini Clubman All4 2016 I would just say that the changes are too confined to be described and being frank there isn’t any special visual change. Just like the interior, exterior of Mini Clubman All4 2016 doesn’t have many changes. However unlike interior you can spot a couple of visual changes here. Starting with the changes made in front fascia, we have you can notice the All4 badging. Infact it can be noticed on all four sides. Apart from these we have the same traditional grille featuring the chrome strip around. The circular headlights still maintain their house on either corner while the bottom section gets the same design fog lamps. However the air vents in lower section do receive new shape which adds to the list of changes. Moving towards the rear fascia, we have the same setup as we had in the two-wheel model. Another major change that I noticed is the Digital Blue metallic paint finish which adds a star. 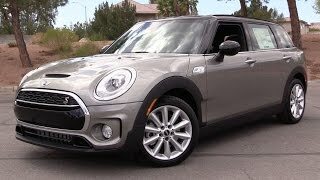 Thus rounding up the exterior details of Mini Clubman All4 2016 I would just say, the confined changes aren’t sufficient to complement the new powertrain that’s hidden beneath the hood. The Mini Clubman All4 2016 comes in two trims; first is Cooper All4 while the second is Cooper S All4. The former gets power through a 1.5 liter three-cylinder engine generating total output of 134 hp and peak torque of 220 nm while the latter gets a 2.0 liter four-cylinder engine cranking total output of 189 hp and peak torque of 280 nm. Both the engines mate to wither eight-speed Steptronic automatic transmission or six-speed manual gearbox. 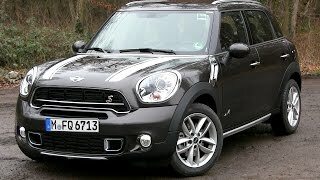 The top speed of Mini Clubman All4 2016 variants touches the mark of 125 mph and 140 mph respectively and the 0-60 mph sprint can be knocked in 9.3seconds and 6.6 seconds with automatic transmission while with the manual transmission it takes 9.2 seconds and 6.7 seconds respectively.